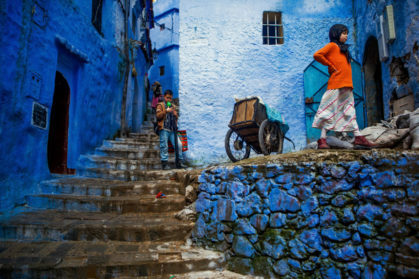 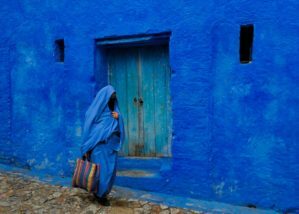 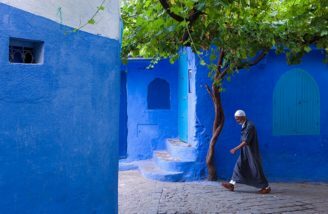 Chefchaouen, or also called Chaouen, is a very fascinating town located in the northern regions of Morocco. 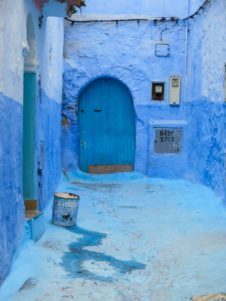 I specifically wrote fascinating as this city is completely covered in blue paint: roofs, walls and streets are all colored in blue! 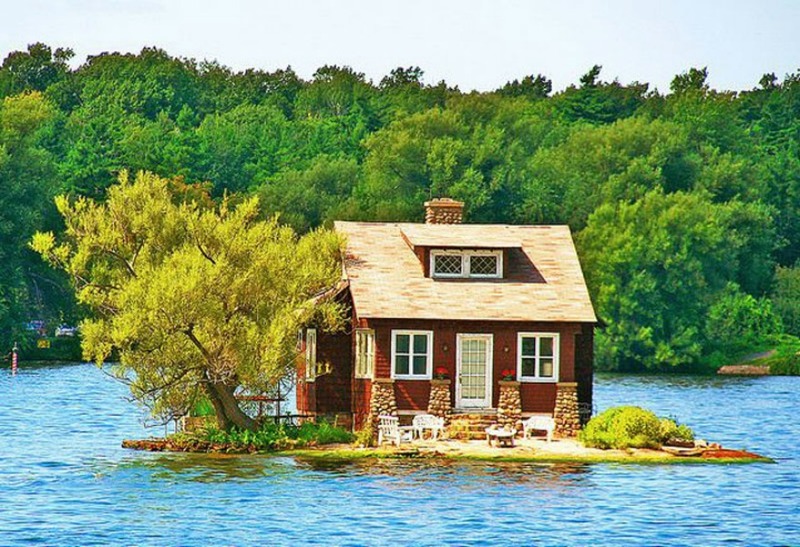 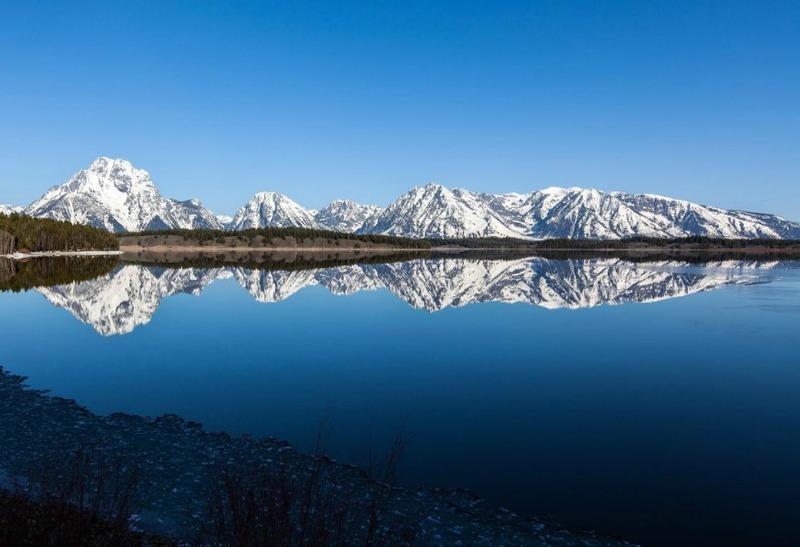 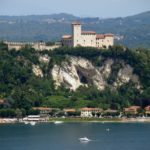 When seen from far, the entire town looks like a big lake. 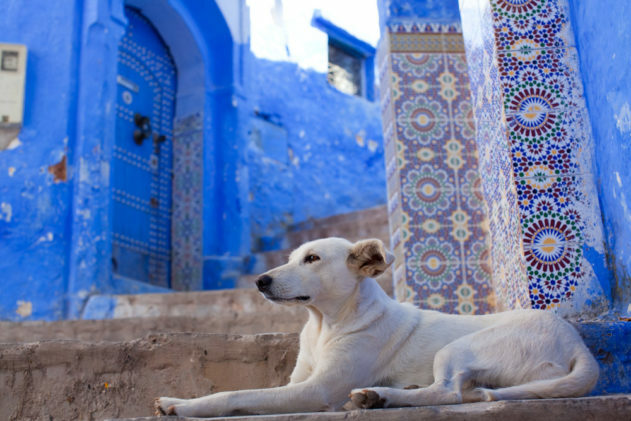 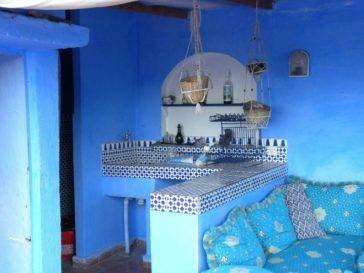 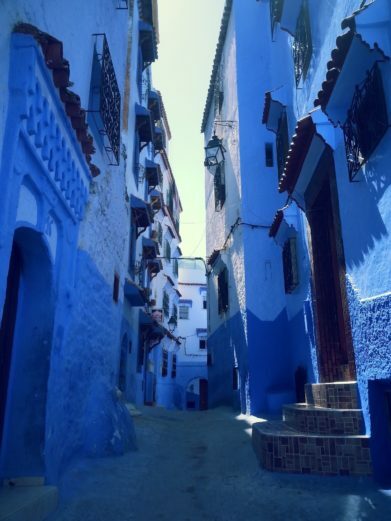 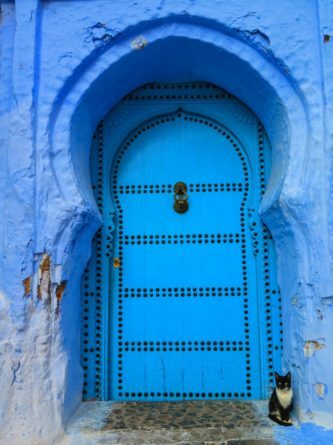 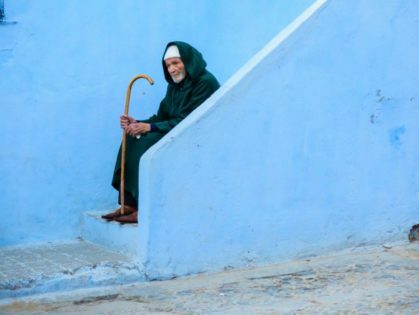 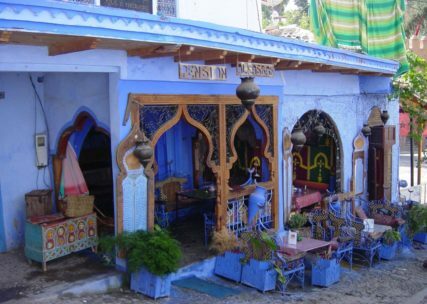 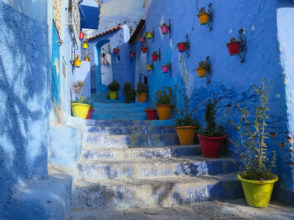 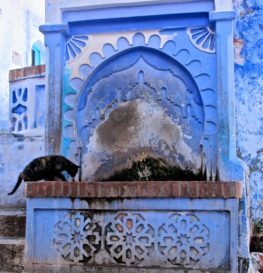 Founded in 1417, Chefchaouen rises on the Rif Mountains, not too far from Tangier. 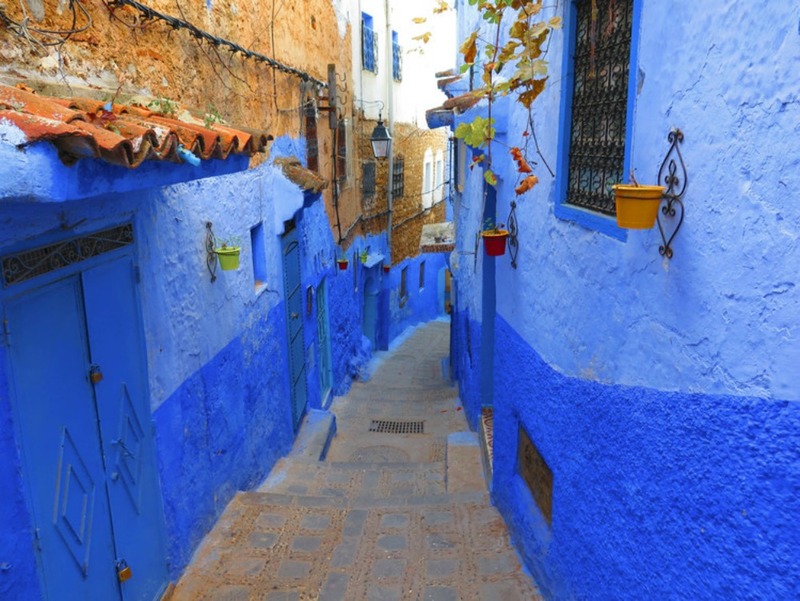 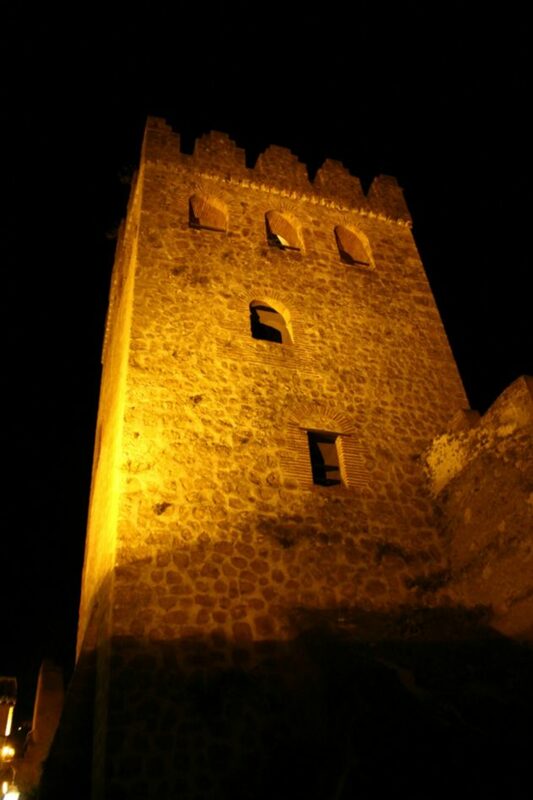 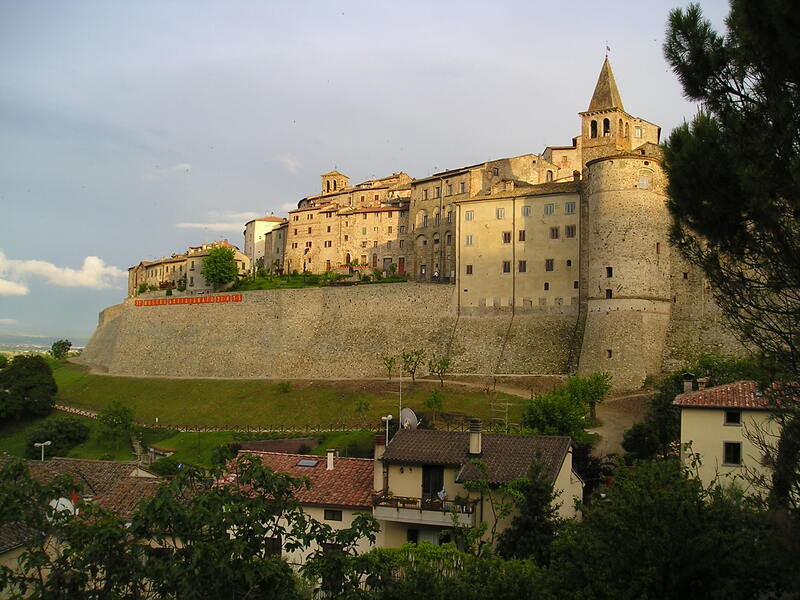 This town was first established as a fortress to fight the Portuguese when they invaded Morocco in the 15th century. 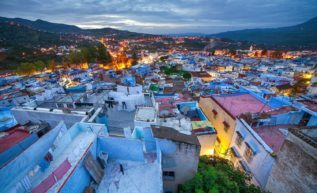 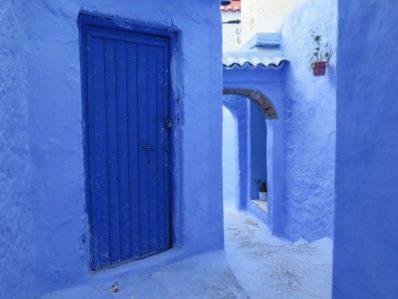 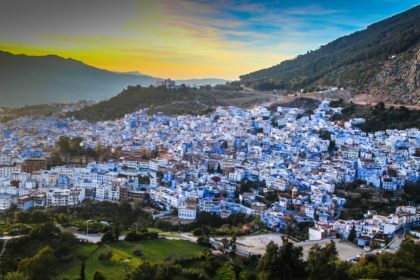 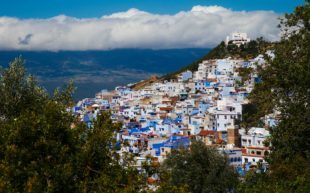 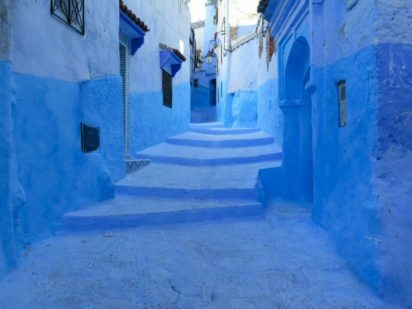 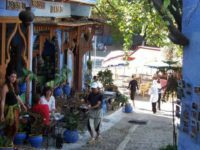 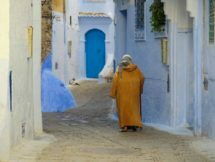 After the Portuguese, Chefchaouen was taken by the Spanish, and still up to today, a part from French, Spanish is the first foreign language spoken within the blue walls. 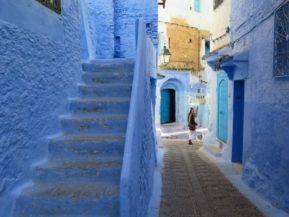 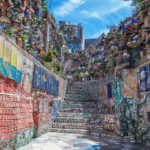 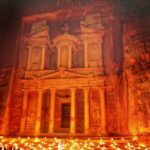 This absolutely wonderful town is a real gem of the Moroccan cultural heritage, and due to its beautiful and colorful architecture it can be said to be one of its kind. 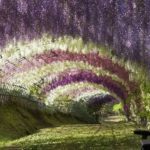 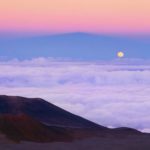 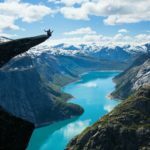 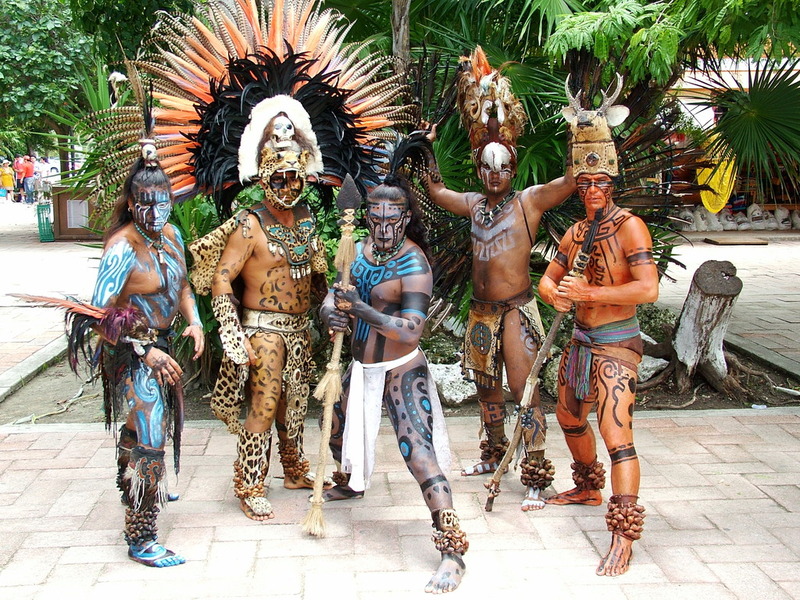 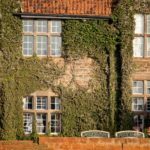 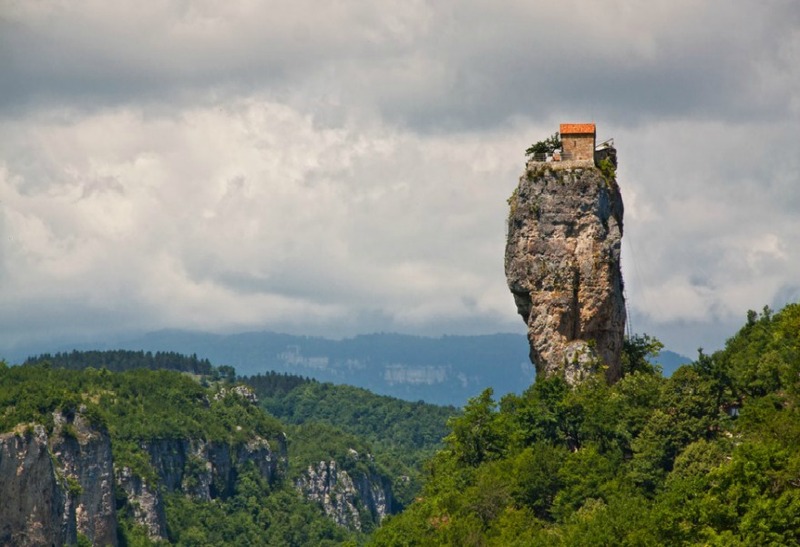 Indeed, when there, you will be able to view and experience things and places that you won’t see anywhere else in the world. 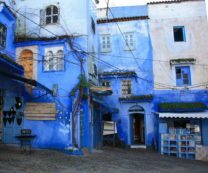 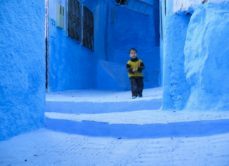 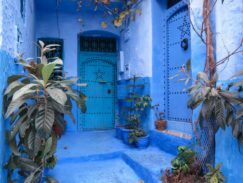 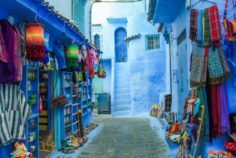 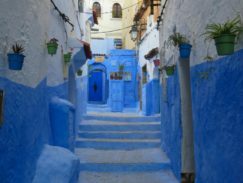 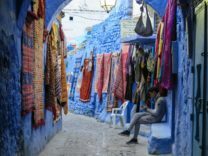 To get to Chefchaouen you can fly to Rabat, Tangier, Casablanca or Fez, and from there take a bus to the blue town. 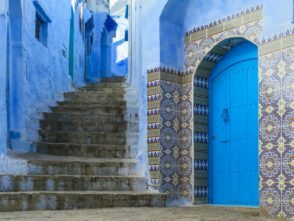 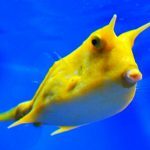 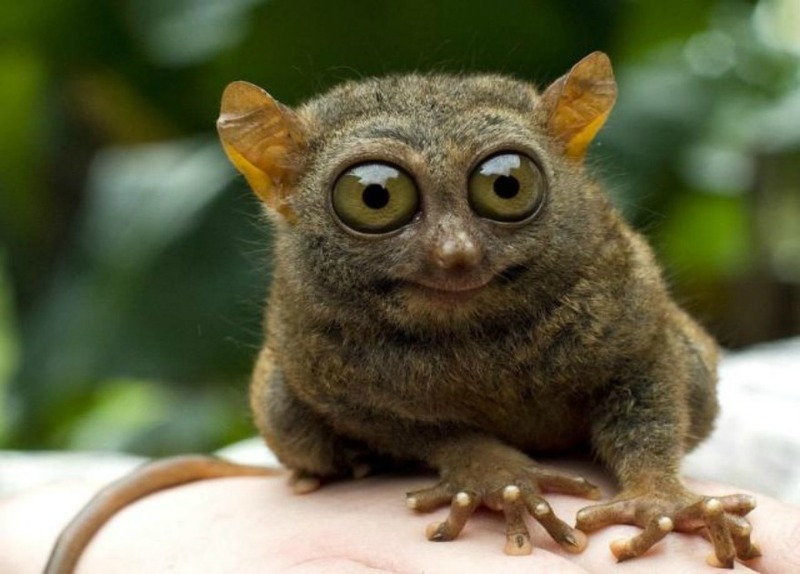 If you prefer to be more flexible and not to stress about bus timings, you can also take a taxi. 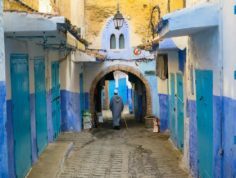 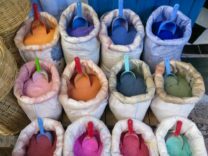 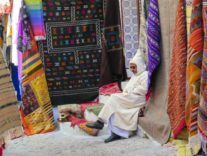 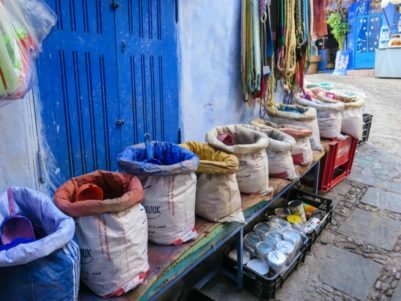 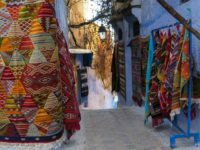 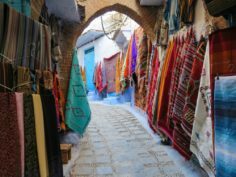 Starting with a tour of the city, while getting lost around the blue streets, you should also head to the Medina and have a mint tea in one of the traditional Moroccan cafes around there. 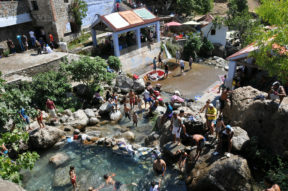 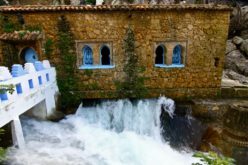 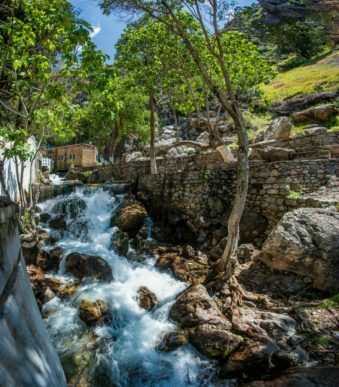 When you have had enough of the town, walk towards the eastern part of the Medina until you reach a waterfall, the Ras el Maa. 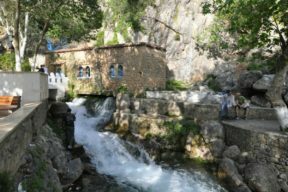 Right behind the waterfall there are also some beautiful ruins of an old mosque. 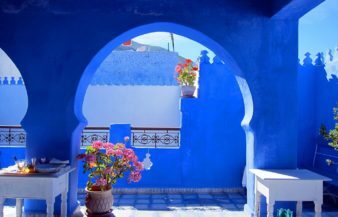 From the mosque’s tower you will be able to see the entire city. 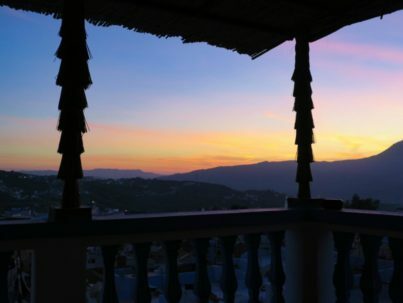 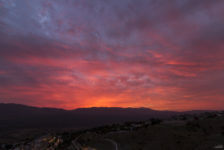 For a romantic evening, climb up the hill of the Hotel Atlas, and let yourself go to the beauty and tranquility of a warm Moroccan sunset. 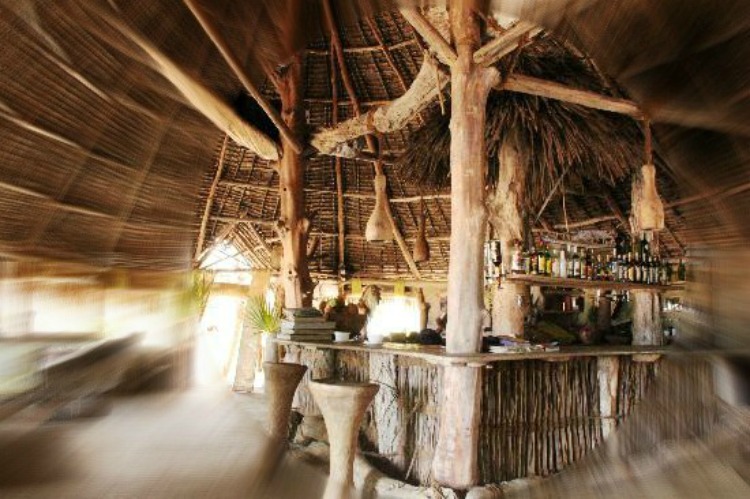 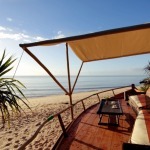 This beautiful one-of-a-kind resort is situated near Malindi in Kenya, and it is built facing the golden beach of Che Shale, right next to a river. 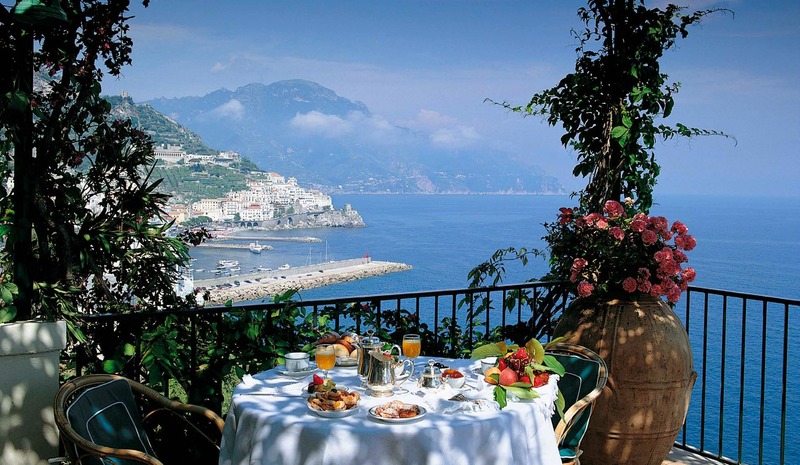 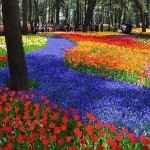 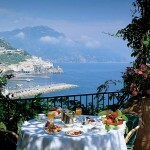 For all those who like Italy and Mediterranean culture, the best place to go experience all this is the Amalfi Coast.